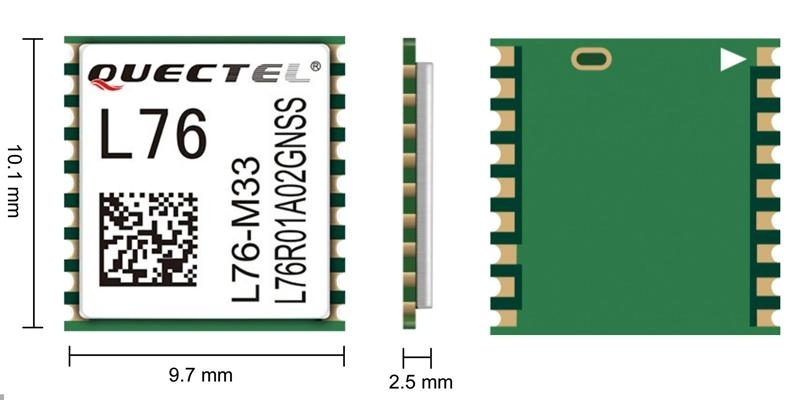 L76 series, the smallest GNSS module, is concurrent GNSS receivers and can receive and track multiple GNSS systems. 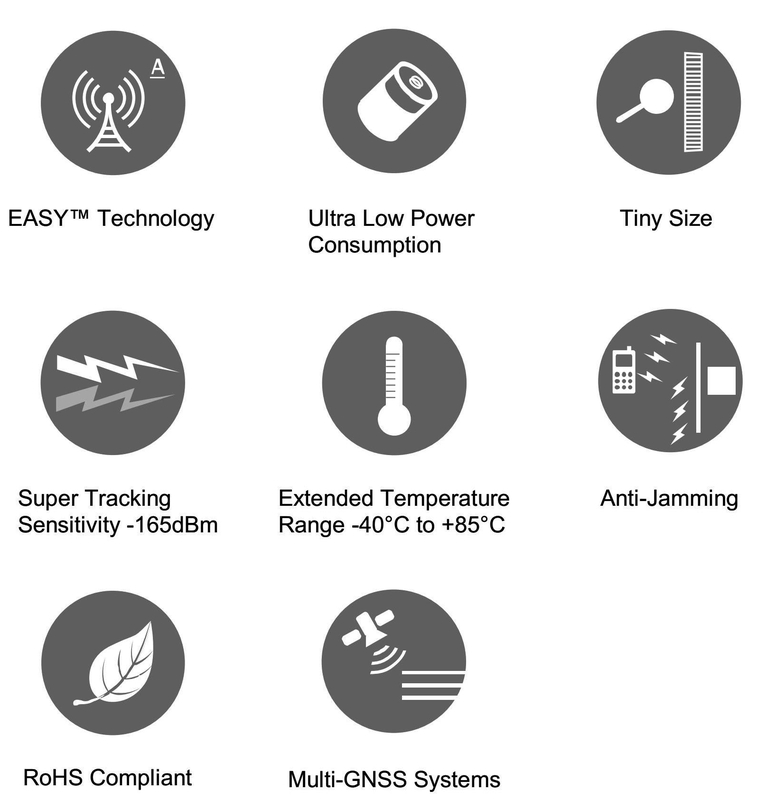 With 33 tracking channels, 99 acquisition channels, and 210 PRN channels, L76 series can acquire and track any mix of GNSS signals. 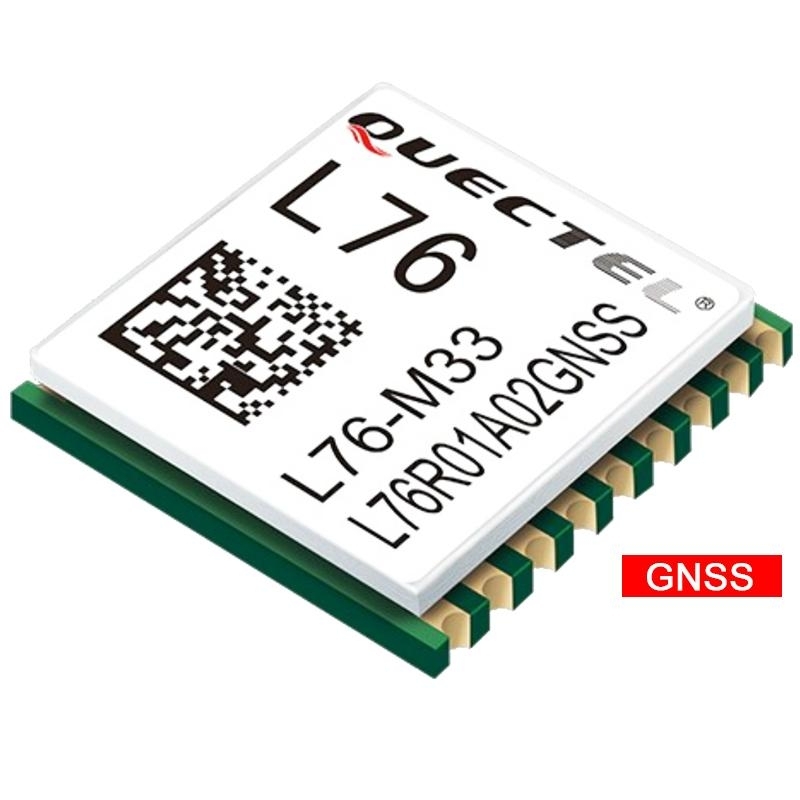 L76 series module contains 3 variants: L76(GPS+GLONASS), L76B(GPS+BeiDou) and L76G(GPS+GLONASS+Galileo)*, which provides enough combination of GNSS to meet the demands of different areas. Combining advanced AGPS called EASY™ (Embedded Assist System) and proven AlwaysLocate™ technology, L76 series achieves the highest performance and fully meets the industrial standard. Additional feature of embedded logger function called LOCUS allows L76 series to log position information to internal flash memory at default intervals of 15 seconds and provide typically more than 16 hours log capacity without adding cost. Its super performance makes L76 series ideal for automotive, industrial PDA, consumer and industry applications. Extremely low power consumption makes it easier to be applied to power sensitive devices, especially portable applications.